LGBTea is trying to get the word out about their new product through their campaign to launch remarkable teas with intriguing flavors, while also encouraging the celebration of love. While they already donate a substantial amount of money to charities advocating for LGBT rights, starting October 11 and continuing thru to November 28, they will be launching a crowdfunding campaign on Indiegogo. During this promotion, 10% of the campaign funds received will go back to the LGBTea Foundation to continue fighting for a more equal tomorrow. The most important part of the campaign, though, is YOU. In order for LGBTea to achieve its activism goals, your support is integral to the future of LGBTea and its efforts to foster social change. By lending your support through perk purchases or even just by spreading the word through our social media sharing tools, you will be provided with enlightening facts about LGBT rights, as well as discover incredible new tea flavors and beautifully arranged, delectable gift baskets! You will also have the option of purchasing gift cards for your friends and family members so they can choose the perk of their choice. 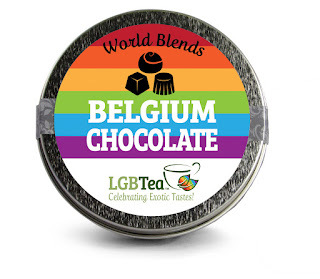 So, go to our Indiegogo page by clicking https://www.indiegogo.com/projects/lgbtea-com-gay-lgbt and show your support and also find out how LGBTea embraces the “different”. Through the company’s Indiegogo Campaign, officially entering the digital universe on National Coming Out Day, October 11, you can be a part of creating a better, and tastier future.